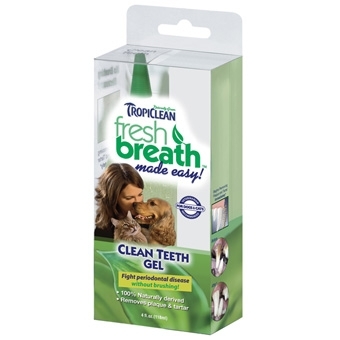 Works fast and naturally to help reduce plaque and tartar on dogs and cats -- no toothbrush required. A proprietary blend of natural, holistic ingredients produce a healthy oral environment. Kills the germs that cause bad breath, plaque and gingivitis. Soothes minor gum irritations. For clean teeth and up close fresh breath everyday!